Kiyoshi Kurosawa creates an intelligent and uncanny cinematic experience. The ever excellent Arrow Video have released “Pulse” in a duel format package, and it is available now! As this is an Arrow Video release, you’ll be guaranteed a top of the range transfer, in High Definition, intriguing extras and a special collector’s booklet; available with the first pressing of the release. Arrow Video’s high quality releases speak for themselves, so on with the film! 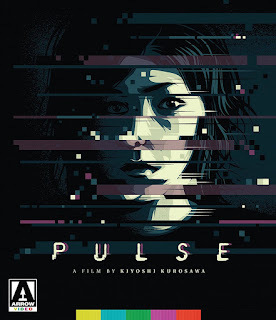 “Pulse” is an uncanny J-Horror film from 2001 exploring alienation and the accelerating pace of technological change, a ghostly incursion and an existential apocalypse. 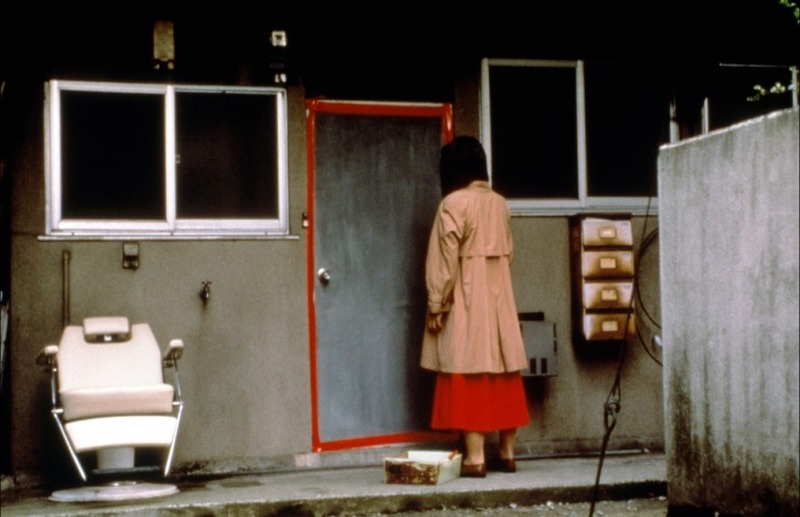 The late 1990s and the early noughties were a boom time in Japanese Horror, with fresh ideas woven around modern technology, curses, vengeful ghosts, sordid buildings or melodramas of extreme violence. Chilling entertainments like “The Ring”, “The Grudge”, “Dark Water” and “Audition” were all the rage. Kiyoshi Kurosawa, the writer and director, created an uncanny and despairing addition to the J-Horror scene, with “Pulse”. This is an unusual film that outstrips most other horror ones, with an all-out apocalypse. Unlike most apocalyptic movies, this is a slow icy drop into dread; not raging monsters, a devastating virus, vampire plagues or zombie infestation, but the empty pit of human nature! This is a pessimistic film to say the least, but the protagonists are caring human beings. They are all equally as trapped in the lonely nature of technological acceleration, isolation, and the lack of any deep empathetic human interaction. People interact, but only in a superficial manner, due to the urban dislocation of their environment or the technological ‘at arm’s length’ version of social behaviour. “Pulse” is a film in which The Living and bizarrely, The Dead, have to face existential dread, head on. Modern technology is the conduit for this slow dive into utter despair. Though Kiyoshi Kurosawa directs a very bleak film, there are flashes of everyday dry humour, to keep the narrative moving along. Witty moments of respite before the final fall! “Pulse” is a film in that unique genre experience, the weird or the uncanny. It is not an out and out gory horror, though there are scary thrills aplenty, while the final outcome is spectacularly apocalyptic. “Pulse” is a meditation on loneliness that falls completely off the cliff! The strange disorientating feel of the modern urban landscape, all concrete, fire escapes and dingy corridors, augments the creepy feel. All the protagonists wear bright and breezy clothes, as if to ward off this urban gloom. There are moments of green respite as plants and flora try to repel the shadows, but as the film progresses, more and more of the plants seem to be covered over! A slow unfolding feeling of fear envelopes this film triumphantly. As cinematic experiences go, “Pulse” has the feeling of a Thomas Ligotti short story, where the atmosphere of the uncanny and a sense of dislocated place are powerful. The film’s story revolves around two narratives, until they collide. The story featuring the economics student Ryosuke Kawashima (Haruhiko Kato) is interesting, as it seems that he stumbles into a another narrative, when he meets Harue Karasawa and her fellow post-graduate computer students. She takes an interest in his seemingly minor internet problem, but as this narrative develops, the computer science post-graduates have already been noticing strange happenings. One of their programmed simulations of human interaction behaves oddly too. 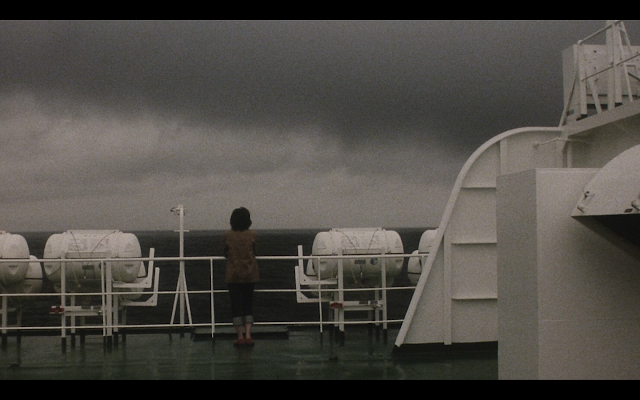 The film starts with the sound of dial up internet tones, transforming into the waves of the sea. A ship is on a choppy sea, grey sky all around. A young woman looks out to sea, a phone is ringing. Broken and distorted sepia stained frazzled images burst into view, of an eerie computer workstation in an apartment. The image flickers and bends with unsettling sounds buzzing! 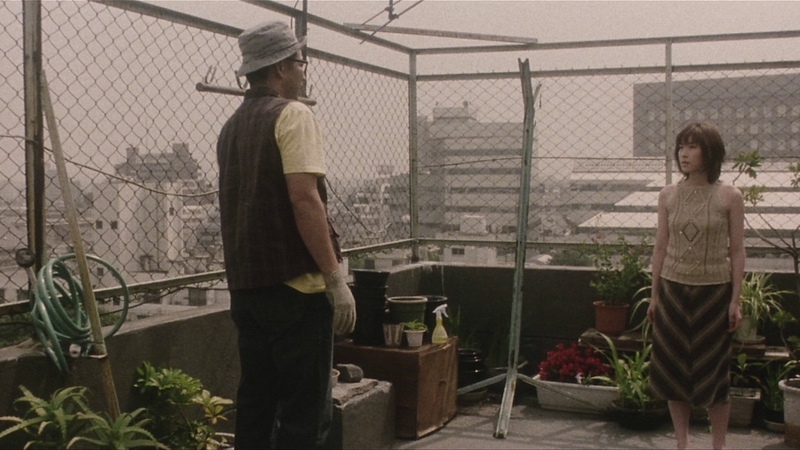 The main narrative is that of Michi Kudo, Junko Sasano, Toshio Yabe and Taguchi, who work at a plant nursery. The brightly dressed Michi Kudo is worried that Taguchi hasn’t been at work for a few days and he is not picking up his phone. She decides to call round to see him, to make sure he is okay. Michi takes the most desolate bus ride in the history of cinema, with film footage rolling in the background, old school style. This is a nice touch by Kiyoshi Kurosawa, spookily shot by the cinematographer Junichiro Hayashi; the unreal nature of the footage creates claustrophobia, as this sweet pretty girl starts to feel the tension. She reaches the dowdy apartment, surrounded by concrete slabs for buildings, metal stairs and fire escapes that stretch out into infinity, and it is a dull day! Michi scrabbles around, looking for a key under a plant pot, as no one is answering the door. She lets herself in and starts looking for the disc, it is the creepy workstation! In the background, a shadow moves! It is Taguchi and he is at home. He hasn’t answered the phone, opened the door or gone to work. He is in dishevelled state but politely tells Michi where the disc should be, as he casually picks up some cables and walks into the back room. Michi finds the disc, but Taguchi is nowhere to be seen. She goes looking for him and screams in horror! He’s walked into one of the back rooms and casually hanged himself, with the computer cable he picked up! The look of pale nothingness on Taguchi’s dead face is particularly unsettling. After Michi recovers from the shock of her friend’s death, the plant nursery workers gather to contemplate the nature of his death. They decide to look at the computer disc he has been working on. It is just an image of Taguchi staring into one of the computer screens, seeing his reflection going off into infinity. When they enlarge the image of the other computer monitor, there is a fuzzy but extremely spine-chilling face staring out! In a messy apartment, student layabout Ryosuke Kawashima decides it’s time to try out the new-fangled technology. It is the new media sensation, the dial-up internet! He’s attempting to set up his internet service provider. This is a witty scene, as any technophobe will know; setting up anything computer related can be a disaster and very confusing. He messes around, tapping away on the keyboard, reading instructions, with pop ups on his windows irritating him with error messages. He decides to give up and he chills out. The dial-up tones suddenly kick into action. The explosion of popular internet dial-up server providers gained more popularity in the mid to late 1990s, so this amusing scene, seems nostalgic nowadays, but describes the frustrations of any technophobe. Unfortunately, his victory in getting a dial-up tone leads to a series of bizarre live video feeds. Footage of shadowy rooms is beamed onto his monitor screen, unknown people distracted in a series of distressed poses and despairing visages. Finally the screen asks, ‘Do you want to meet a ghost?’ This freaks Ryosuke out, so he switches it off and has a cigarette! All the freaky, grainy footage, with muted colour tones, is enclosing and genuinely uncanny with random people in desolate extremis. The screen message is a true thrill to that chill moment. Ryosuke has a lazy snooze, putting the strange stuff behind him, but the dial-up starts up again. He turns over on his bed and notices the screen has a new video feed. A person is in a room with a black bag over their head! Ryosuke needs a drink after seeing that! He decides to hang around the Computer Science department at the University, trying to figure what is up with his dial-up internet, asking a few intense computer students about his ghostly website. He doesn’t get far until a fine looking post-graduate computer science student, Harue Karasawa, takes an interest in his problem. 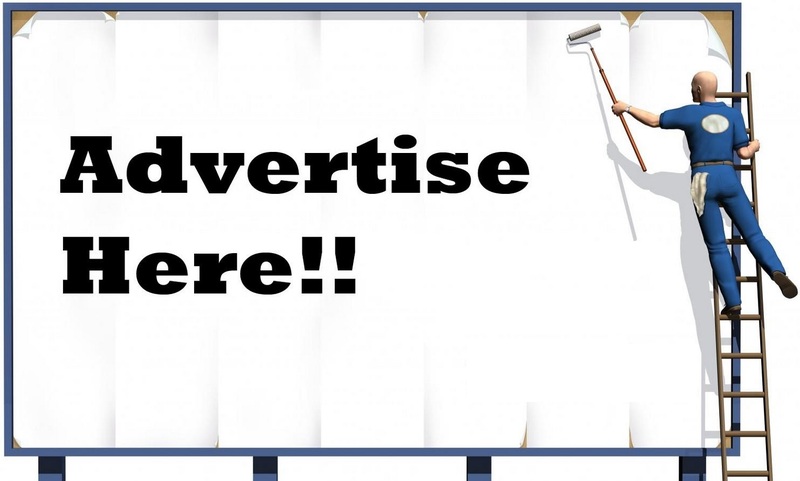 She wonders what the web address could be to this strange website! She is amused that Ryosuke is a technophobe, so she gives him advice on how to bookmark a website. He takes detailed notes, so he can try figure out what is going on later. The director focuses on Ryosuke taking his notes, as he hasn’t a clue, demonstrating the director’s dry wit. Toshio Yabe is at the plant nursery working when he receives a strange phone call with someone saying ‘help’ repeatedly over the phone, in a cold voice. He asks who is speaking and sees an ominous picture of Taguchi’s workstation on his phone, with a mysterious figure standing in the picture. Toshio takes the empty bus ride of doom to Taguchi’s apartment. He walks up a labyrinth of metal stairs and searches around the apartment and finds a computer printout saying ‘The Forbidden Room’. He sees an ash like stain on the wall where Taguchi committed suicide. If this is not disturbing enough, he walks away and then comes back to see Taguchi standing there. Toshio asks what has happened, but Taguchi flickers back to ash. 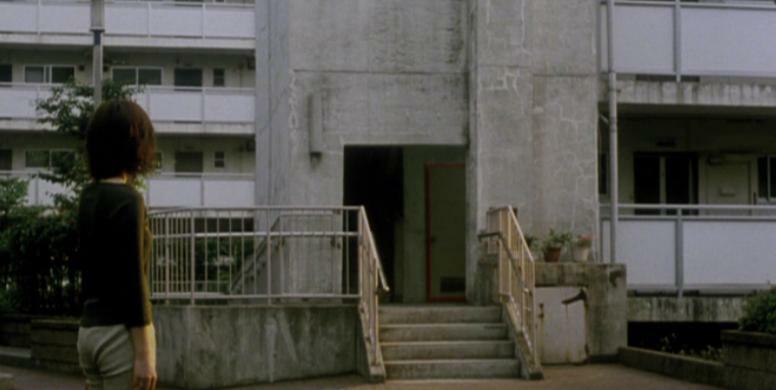 Toshio decides his mind is playing tricks, so he leaves, and walks away from the apartment block. As he is walking, he notices an apartment with the door’s edges all sealed up in red tape. In this concrete paradise, where no one seems to be around, curiosity gets the better of Toshio Yabe. He unseals the red tape and enters the room, and descends the stairs of this concrete bunker-like apartment. There is an alcove with a chic leather sofa and the wall is covered with red graffiti. He turns around and meets an incarnation of pure dread, a shade of a well-dressed woman shimmering grey. She is a spectre from the other side, blurry and distorted as she walks towards Toshio, the ghost even stumbles. He tries to hide behind the sofa, but he has to look into the cold fish stare of pure emptiness of this ghost, a young woman! This scene is creepy-tastic, a real shiver down the spine moment. 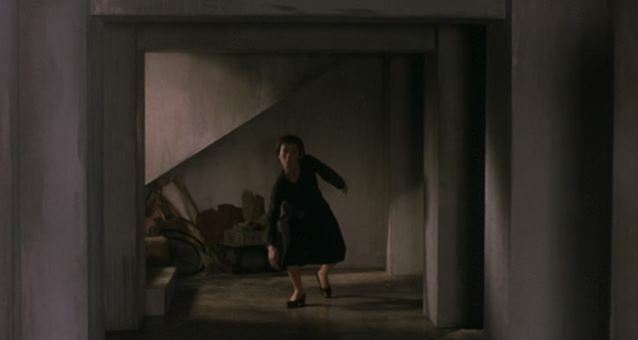 Initially, the concrete apartment is brightly lit, but grey like muted tones descend when the ghost appears. The whole scene is crafted in an awkward slow-motion, which ramps up the temperature of terror! Kiyoshi Kurosawa, Junichiro Hayashi and art director Tomoyuki Maruo devise a superb scene of ghostly goings on! Masatoshi Matsuo, who portrays Toshio, superbly acts this scene, with emotions transmuting from curiosity, to confusion, to pure shock and terror, as he locks eyes with the ghost. The physically peculiar and awkward acting by the actress, who plays the shade, is very effective. The fuzzy and greyscale visual effect of the ghost enhances the bizarre and scary experience. Creepy is the ultimate word to describe all the uncanny scenes in this enigmatic film. Michi and Junko, the two pretty plant nursery ingénues, are worried about Toshio Yabe, but Junko doesn’t want Michi to check on him. The weird atmosphere is starting to shred Junko's nerves, and she wants to pretend everything is normal. Toshio arrives, he is still alive, but he’s in no mood to speak to anyone. He sweeps past the girls and disappears into the office, leaving Junko worried and angry. Michi is walking among dreary apartments and work office units, when a woman leaves a shabby run down business/office unit, with a random white chair next to the door. She shuts the door and starts to seal the door up with red tape! Dull grey concrete soul sapping structures tower around. Michi watches on curiously. Ryosuke is in an arcade, people are around, but he’s on his own, wasting coin. He goes for a solitary walk, smoking in a twilight urban landscape. He returns to his apartment and flicks through some magazines. Ryosuke is an amiably enough young man, but he seems to have no friends. Even when he tries to ring someone, there is no answer. He flicks through magazines for something to do. He’s a young man going through the motions. He’s not glum, despairing or miserable, just bored with his loneliness. As he goes off to pour himself a drink, then the computer fires itself up again! It is time for some bizarre juju to go down. He rummages for his notes on how to bookmark these strange internet video feeds. There is a figure slumped in a chair, wearing in a red t-shirt, with graffiti on the wall. The figure is sat motionless, shadow covering the face. Pops ups and error messages fly across the screen as he tries to bookmark the video stream. The figure continues to sit motionless. Amusingly, Ryosuke reads his notes attentively even though there are weird things going on. The figure starts to move forward and sideward into view, jerking and blurry, some sort of bag on its head. Ryosuke looks at the screen. The figure absurdly comes into view from the opposite side. The screen has lost is all its colour tone, it is blurry grey. The figure is about to unmask itself when Ryosuke has had enough and switches off the screen. He pulls out all the cables from the computer. The more confused Ryosuke becomes the scarier and more disquieting the scene develops. The juxtaposition between Ryosuke’s computer amateurism and the chilling monitor video feeds is absurd, funny and very spooky. The musical soundscape creates extra ice! Ryosuke walks around the Computer Science lab at theUniversity, all glass and monitors. He finds a monitor with lots of varying sized dots and blobs swirling around. The beautiful and fashionably stylish Harue Karasawa comes into the lab, busy with her clipboard. She notices Ryosuke and asks how it went with her instructions. He followed her advice, but he’s not sure if anything worked. To his surprise Harue says she’ll call round to look over his computer, if he’ll wait a minute. Kiyoshi Kurosawa directs her naturalistically, going about her day to day business, being busy. Kurosawa likes to direct his characters through their day to day tasks, emphasizing busyness as an affectation. It is used as a shield to avoid depth of thought and deeper emotions. Ryosuke has another look at the blobs on the computer screen and he asks what it is. She explains that if two dots get too close, they die, but if they get too far apart, they draw closer together. It is supposed to be a miniature model of the human world, but only the graduate student who programmed it, understands it. This is a pessimistic model of human interaction. She warns him not to stare at it for too long, hinting at something more troubling bubbling under Harue’s professionalism. They go back to Ryosuke’s small apartment, for another sharp scene, with gentle visual humour playing alongside their melancholy conversation. Ryosuke is slightly appalled that he has a beautiful woman in his messy apartment. He pours her a soft drink, a simple token of affection. He is enjoying real human interaction for once. As she messes around on his computer, he slyly tries to tidy his room, which is genuinely humorous. In nostalgic old school computer style, she gets a floppy disc to record the data she needs. She asks why he started with the internet, wondering if he wants to connect with people, even though he’s a technophobe. He’s not sure why, he reckons he’s just fallowing the fashion. He continues to tidy his room. Through their interaction, Harue relaxes and she is more unguarded in conversation. Harue is a pessimist, having her own existential crisis. She thinks people don’t really connect, so the internet is a sham. She considers human interaction is like the computer simulation at the lab, so perhaps she is the author of the programme after all! Ryosuke finally receives some positive human interaction, but this stylish young woman is suffering from existentially angst, a clever irony from the Kiyoshi Kurosawa. Ryosuke is baffled! At the plant nursery, Michi squats down with a clipboard, stock checking. Large shrubs are covered in clear sheets, framing the edge of the screen, acting like a curtain. This focuses the line of sight on Michi, squatting down, alone. A melancholy compositional shot enhancing Michi’s isolation, even at work. Toshio Yabe appears emotionless and walks into the into the back room office, in an awkward robotic manner. As Michi tries to converse with him, the boss calls her, asking her to move some orchids. The boss is enigmatically played by Shun Sugata. She asks the boss his opinion of Toshio’s behaviour, and he answers her in an unusual fashion. Always wind up hurting your friends deeply. Is friendship always that way? If that’s so, what’s left? Kiyoshi Kurosawa creates another alienating composition shot. The boss sits down in a concrete corner, with wire fence all around, a grey urban landscape in the background. Cornered in loneliness, he’s gone beyond existential crisis and unleashes nihilist scepticism! This is the plant nursery boss’s only speech in the film and it is so cynical, you could butter your bread with it. The director works a clever juxtaposition, as the boss says it all in a light, witty manner, with a wry smile on his face. He’s already gone beyond human interaction, and he’s content with his desolation; he’ll keep to his plants! . Michi is whipped by plastic sheeting, flapping in the wind, a heavy weight bearing down, and concrete everywhere She confronts Toshio Yabe in the drab storeroom, boxes dropping on his head. He explains that he saw a horrible face, unlike anything he’s ever seen. He warns her of ‘The Forbidden Room’. A close up of their faces, Toshio in profile, Michi in portrait, neither looks at one another, both communicating, but with no connection. Michi asks if it is the room with the red tape. Toshio become extremely agitated and makes eye connection, warning her not to go in there. He is now in real distress, hyperventilating, shuddering. Michi tries to find out what went on in the room, but Toshio can only say he is cold. Michi rushes off to get a blanket, but he walks away. In the drab urban purgatory, Michi is looking at the door with red sealed tape. There is still a random white chair next to it. She walks into a dull, grey industrial area; dreariness is supreme, a black van drives past her, a harbinger of death! A woman stands on top of big industrial tower silo, Michi taps out a text message on her phone. Michi turns around to see the woman, dressed in red and pink, dive off the tower! She belly flops horizontally to her death! Michi shrinks into herself, suicide everywhere! She crumples as a few curious people finally appear, but no one makes a move towards the suicide! This is quite a striking cut of cinema, as the jump, dive and splat are all done in one take. If special effects, a dummy or an insane stuntmen/stuntwoman are used, I don’t know, but this is a beautifully shot scene. The initial detached documentary feel, shifts into anguish and tragedy, all made possible by Kumiko Aso’s acting ability. The whole crew work in unison to capture this artful but troubling scene. The industrial setting creates an intensely alienating atmosphere, all masterfully directed by Kiyoshi Kurosawa. Ryosuke is at University, lounging around, listening to music. He walks through the library, about to exit, when he decides to turn back and wonder around the book shelves. A robotic young woman pushes a library trolley in the background! He bumps into Harue, who is reading a book on phantoms, not exactly computer science, but she says it relates to her work in the lab! She asks if he’s a got a minute, he jogs after her, like a puppy. They are back at the computer simulation with the blobs and dots, as strange things are happening to the simulation. The blobs and dots are flickering, appearing and disappearing, getting blurry, just like ghosts! She doesn’t understand why these strange blobs are appearing in the program, and it is not a bug in the system. Though she’s not fully followed up on the nature of Ryosuke websites and video streams, she is sure that the two issues are related. She carries on busying herself with her tasks, as if trying to forget. Another post-graduate student appears and she has to get on with her work. As he walks off, Harue runs up to him with her phone number, much to his surprise. Unusually for Ryosuke, he goes to the library to research ghosts! Economics has been trashed; there are more pressing matters! The book poses the question; how many ghosts have existed since pre-historic times? It is the same tome Harue was reading. At the corner of his eye Ryosuke notices something odd, a shady shape of a boy in the library, watching him. The post-graduate student that Harue works with, Yoshizaki, appears. Ryosuke asks if he sees the shape. The student nonchalantly replies that he sees it, and Ryosuke will have to catch it to find out what it is! The post-graduate student eggs him on to chase the mysterious figure. Ryosuke charges after the shade, venturing where angels fear to tread, eerie sopranos wailing in the background! The shade disappears. This is a fine student prank that could have gone spectacularly existential! Kiyoshi Kurosawa’s dry humour is highlighted in this scene, playing around the ‘boys will be boys’ cliché. This is a classic of the horror genre, usually ending with something horrible happening. Kiyoshi Kurosawa challenges this, with the stylish Yoshizaki apologising, and inviting Ryosuke for tea! They philosophise about the uncanny controversies that are occurring. The computer scientists have become experts in ghosts! He considers that the spirit/consciousness/soul inhabits a realm of finite capacity. That realm may accommodate millions or trillions of these entities, but eventually it will run out of space. Once it is filled it has to overflow somewhere. Yoshizaki hypothesizes that souls will ooze into material reality, once that realm reaches critical mass. 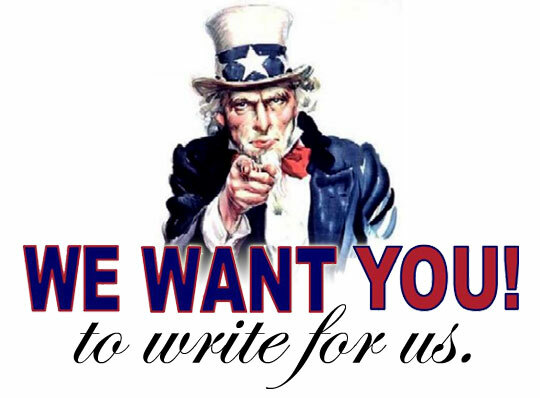 Any device at hand will help in this incursion of souls. The invention of modern technology is making the incursion easier. The scene shifts to a cameo by Sho Aikawa, a familiar face from many Takashi Miike and Kiyoshi Kurosawa films. His character’s face is at a window of an ever darkening room. He is a worker at a rubble strewn demolition site and asks for some tape. A builder gives him some red tape for which he is grateful. He goes off to seal up the now boarded up window and then he seals the door. In the darkened room, with a sickly yellowy light, a shade shudders and jerks into sight. At the very moment of incarnation, the sealed door is smashed by a big industrial digger, the building is being demolished. 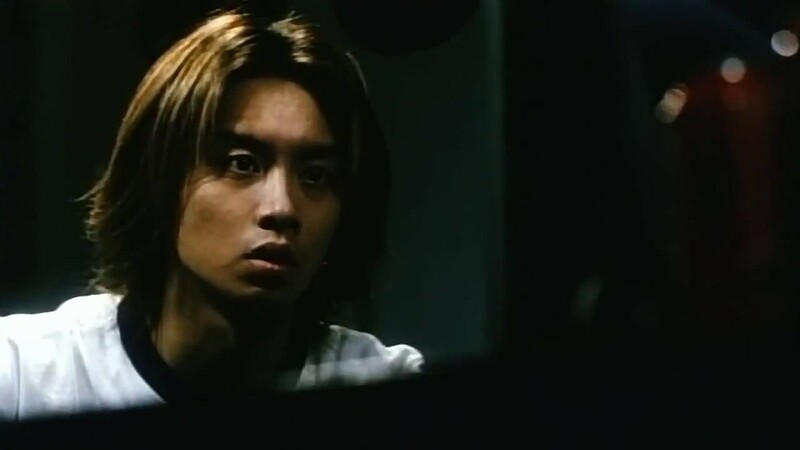 Sho Aikawa’s character looks on, as the sealed window is smashed to pieces, but with wires everywhere. The demolition of this ship yard, and its spaghetti mass of wires, demonstrates Yoshazaki’s point. The materials are at hand for the shades to move osmotically into reality and spread around the world! The scene shifts back to the two students. Yoshizaki considers that the spirits are no longer a faint presence, and Ryosuke has already seen one. Ryosuke is not convinced. He’s somewhat annoyed, but Yoshizaki gives him one more unpleasant hypothesis. There is no turning back; no matter how simple the device, once the system is complete, it will function on its own, permanently. The conduit between the realms is complete. The plant nursery boss is now seen to be sealing up many windows! Michi and Junco are at work but they can’t find the boss, so they are phoning around, trying to find him. Junco is freaked out that people are disappearing and declares she is off to find the boss. Michi is about to go after her, when the phone rings. A slow cold voice intones, ‘help me’, she thinks it is Toshio Yabe, and she goes to find him in the back office. He is standing against the back wall, like a statue, a grey hue draped over the room by the cinematographer Junichiro Hayashi. Michi is overjoyed to see him, but after a few steps, he evaporates and only an outline of a black stain is left on the wall! A voice calls out ‘help, help me’. She leaves the room and closes the door. The black stain is outlined, cold against the dingy wall! Light and plants briefly frame Michi, giving her a brief respite, but Junco has disappeared. This is an incredibly melancholy scene, but Michi is almost taking tragedy in her stride. Junco is at a door unsealing the red tape around it. Her desperation and lack of understanding of the shifting situation is becoming dangerous. Innocent and in her red dress, she walks into ‘The Forbidden Room’! Michi dashes to the boss’s apartment and sees the red tape on the open door; she rushes through the door in panic. Junco is crawling round on the floor in great distress. Michi tries to haul her out of ‘The Forbidden Room’, but an apparition is in the corner, black as hell! The shade, its hair swirling, medusa style, encloses Junco, enveloping her with the stare of nothingness; a nerve shredding scene. Michi, the ingénue, has toughened up! She faces down the shade, and rescues her friend Junco. They run for it! This is a fine scene full of chills and nerve shredding music. The sheer creepiness of Kiyoshi Kurosawa direction is excellent. Junco is shrouded in a white sheet, asleep in bed. Michi is resting up in a chair, exhausted. Junco is all in white, knees up to her chest in state of agitation and anguish, repeating ‘help me’! Michi does her best to comfort her, but she needs to go to the shop for supplies. The shop is completely empty and no one is at the counter. She notices a shadowy shape in the backroom, and makes a hasty retreat with her provisions. She’s not paying a ghost! Ryosuke rings Harue, but there is no answer. He leaves his concrete encased apartment building and runs toward the imposing urban concrete metropolis; there is not a soul to be seen, and the spirit itself is sucked out through the alienating architecture! A concrete hue imbues the light itself, cleverly photographed by Junichiro Hayashi. The computer lab is empty, apart from wires dangling everywhere, an infection of disorder infiltrates this formerly tidy lab. A chair on wheels randomly rolls across the floor. On a laptop screen, the figure of a man keeps appearing and disappearing, constantly repeating, walking across a room, going nowhere. Strangeness multiplying! Ryosuke tries Harue’s apartment, but with no success. It is another grey concrete enclosed corridor, drab to the extreme! A figure shuffles up the stairs, it is Harue! She is dressed all in white and she is soaking wet. Harue rambles that everyone is disappearing, she desires to run away. Panic seizes her, but Ryosuke calms her. In her book laden apartment, befitting a young developing intellectual, Ryosuke, our slightly foolish protagonist, makes her a drink and she regains her composure. A kind of rationality returns, but her conversation with Ryosuke is morbid and abnormal. She says she’s been obsessed with death since she was a child, she has always been alone! Ryosuke asks if she has parents, which she has, but she says they are ‘irrelevant’! This unnerves Ryosuke and he attempts to steer the conversation away from the saturnine, but Harue has a need to sound off. She once considered that the afterlife might be a big jamboree, until high school, when it dawned on her, death might be the ultimate isolation. The idea is utterly horrifying, her alienation would continue into the afterlife, forever! Harue is an unhappy and lonely woman, with a disturbed inner life. Her breezy, busy personality is a performance to mask her sadness. Ryosuke is dismayed at such thinking! He announces that they should be proud that they are alive! Harue switches on a horde of monitor screens filled with figures in grotesque desperation. She asks Ryosuke what this all means. Whether they’re dead or alive. Ryosuke goes all out for positive existentialism, giving the ghosts the middle finger and he celebrates the fact he is alive. Ryosuke goes one step further, pronouncing that a drug maybe invented to prevent death and they could be immortal! Ryosuke likes his lazy ways, though he’s certainly more enthused about his existence now that the beautiful Harue is in his life. He now wants to live forever! Harue considers immortality possible, but in a pessimistic vein. A ghost won’t want to kill to make more ghosts; they’ll try to make people immortal. At the grey factory, where the woman committed suicide, a black stain is on the floor. ‘Help me’ wafts on the wind. This is a desolate short scene by Kiyoshi Kurosawa, tremendously sad. There are no people around to hear her disembodied, desperate voice! Loneliness reigns supreme in this alienating industrial purgatory. Michi is trying to feed Junco; she is covered in a white blanket, completely lost in own self. Food drips from her mouth, like a baby. Michi affectionately wipes her face. When Michi cleans the dishes, Junco seems to have lost the use of her voice. She resorts to whines, whimpers and grunts. She stretches her arms out like a child, distraught that Michi has left her, desperate for her to return. Michi runs to comfort her and Junco grabs hold of her for dear life. Exhausted, Michi finally sleeps. When she awakens, Junco is fully dressed looking out of the window, white curtains billowing with the breeze. She turns around, with an emotionless look and asks if she is going to die like this. Junco stands by the wall, as Michi makes coffee. Michi turns around and there is a black stain on the wall! Michi goes through a gamut of emotions from shock, sadness and then to desperate denial as she looks for her friend, all superbly acted by Kumiko Aso. The black stain transmutes to ash and a gust of wind blows the dust away. Junco is lost to eternity. Michi can only wonder why!? Junco’s disembodied voice wails on the breeze, her ash dissipating. This is another unbearably sad scene, Kiyoshi Kurosawa amassing the melancholic tragedy. The existential dread of loneliness has turned poor Junco to dust! Michi is in a state of tragedy fatigue, looking out into nothing. She decides to try ring her mother. Someone picks up, but there's no answer. Michi’s day is a gift that keeps on giving! Ryosuke is in his favourite arcade wasting coin again, but this time it is empty. There is no one at the slots, nobody is blasting away at the arcade games, but the noises of the amusements play on regardless. He rings a bell for an assistant; a ghost walks by in the background. As he turns around, he perceives a ghost walking through the arcade. Not quite the customer service he’s expecting! He follows it’s jerking black blurry shape, but it starts to turn towards him. The noises of amusements continue as if nothing is happening. Ryosuke runs off. Modern convenience entertainment is now a hotspot for ghosts! Watch out if you are playing Space Invaders, you might get more than you bargained for. This is another witty scary scene. Even if you want to gamble away your money on the slots, you might be confronted with a dark night of the soul incident! As Ryosuke runs back to his apartment, he meets a downtrodden Harue. She wants to go wherever he is going; she doesn’t want to be alone. He agrees and they run! A random white chair is situated next to a door! At the train station, everything is out of order and the place is empty. They jump the barriers and wait for a train! The whole of Tokyo seems to be empty. They get on a train, which is wholly unoccupied, alarming the pair. Life is being stripped back to modern conveniences, but with nobody to use them! Ryosuke soothes Harue by restating their tangibility! They are here! They are real! They are in the now! Harue finally rests her head on his shoulder. The shell-shocked pair sigh a brief moment of tranquillity. The train stops in the middle of nowhere, all the doors open! The bright, clear lighting creates a stark lonely atmosphere. Harue finally breaks and wants to go back, as ’it’s the end of the line’! 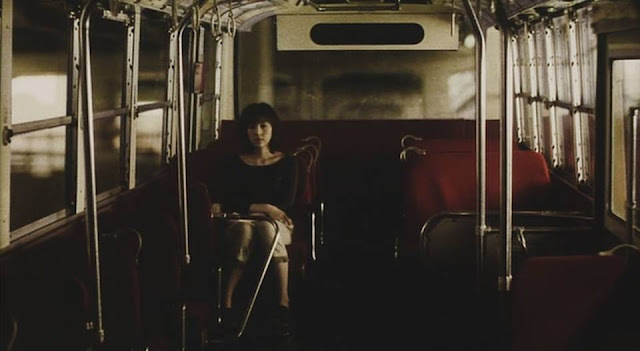 As Ryosuke looks for the driver, Harue leaves the train. Ryosouke runs around in the middle of nowhere, frantic, shouting and looking for Harue. The long empty train stands stationary, going nowhere! Harue is back to her wall of monitors, with all the creepy video feeds; empty rooms, lonely figures in despair! She drops onto the feed that appeared on Ryosuke’s monitor. It is the figure in a red T shirt, with graffiti behind him, with a black bag over his head, not the jolliest of images. She prints out an image of the feed, but the words ‘The Forbidden Room’ are printed. The figure shifts on the monitor screen in jerky blurry fashion, as the printer does its work. The figure now fills the monitor screen, with the bag on its head. Harue watches the figure remove the bag, puts a gun to his head and then pulls the trigger, with a flash. The blurry video feed makes this sequence particularly frightening. The printout finishes with the text, ‘construction materials - red tape’! The instructions have been made clear! Her image jumps around on the monitor, disconcerting and extraordinary, especially when she starts to smile. As the monitor image goes black, she seems to be embracing nothing! Ryosuke arrives at her door and tries to engage her. Ever the optimist he suggests they should live together, so they’ll always be together. We’ll balance each other out. There is no answer, so he smashes the door in with a fire extinguisher. He races around her apartment; she is nowhere to be seen. She embraced nothing, perhaps she is becoming nothing. On a TV screen, a reader is running through a large list of people that have gone missing in Japan. It is bright sunny day, and Ryosuke wonders around, kicking his feet, bummed out. There is not one person to be seen! A Meeting Of Kindly Minds! Ryosuke walks to random vending machine, standing alone in the urban landscape. He tries the door and a rush of cans tumbles out. This is a lighter moment, Ryosuke bumbling his way through this ghostly disaster, with a need for a fizzy drink. The camera sweeps across from Ryosuke’s vending machine, to a car on the other side of the bridge. The car is parked askew with the driver’s head in her hands. This is where the two narratives gather. Ryosuke does his awkward, but decent thing and asks if the lady is OK. It is Michi and she is in a state of emotional fatigue. He passes her a can from his haul, an act of instant communication. Ryosuke is overcoming his own shy barriers with small acts of kindness. Neither of them can quite explain why they are there, a light conversation with ums and ahhs, they can’t quite get around to talking about the catastrophe. Kiyoshi Kurosawa gives pause to the rampant tragedy, with this lighter moment, as these world weary young adults still have to make their awkward introductions. They finally bond touching on the sadness of those that haven’t made it and their shared sense of confusion. Michi is impressed that Ryosuke is a student as he endeavours to fix her car’s engine. He is equally impressed that she has a job! This brief moment of small talk gives them a short break from their unreal situation, and is a clever touch by Kiyoshi Kurosawa's script. The little things sometimes matter in a massive crisis. Michi wonders about Ryosuke’s friends, but he admits he has only one friend. This now seems remarkable for this compassionate, amiable young man, but challenging experience is a great teacher. Ryosuke is suddenly sociable! He fixes the car engine and meticulously tidies up the tools, putting everything back in its proper place. He is now, ironically, tidy too! A sliver of tender humour from Kiyoshi Kurosawa and a fine example of character development! Michi demonstrates her inherently kind nature too, suggesting that they should look for Harue. She may still be alive, so they should, at least, try to find her. Ryosuke drives the car. The weight of the situation resettles on their shoulders, as the spooky soprano wails away in the background. Absurdly, the car has a misty interior, though it is clear bright day outside! Both protagonists stare into the middle distance, glassy eyed, without emotion. Survival mode switched back on. They hit Harue’s apartment with ‘Help Me’ graffiti all over the walls. Michi examines the monitors and computers. She stares out of the slim window; even daylight finds it hard to enter these apartments. She sees a giant ugly factory nearby; they decide that they’ll look there. The Living that are seized by misery, have a pretension for desolate industrial monstrosities. A mass of metal twist its way throughout this industrial wasteland. This is a brilliant set creation by art director Tomoyuki Maruo. A random empty chair pans into view, once again! Michi warns Ryosuke about the red tape and ‘The Forbidden Room’. He is familiar with the concept! In this hell of pipes and barren metal, Harue stands on a gantry, still as death, a black bag on her head. Michi finds some red tape, and discerns that an etheric incursion is nearby. Harue walks into view, the black bag on her head, and a gun in her hand. She pulls the bag off her head; her face is cold as porcelain. Ryosuke attempts to reason with her, and pleads that they can leave together. Harue throws arbitrary industrial debris at them. She puts the gun to her head and shoots herself, repeating the scene she witnessed on the video feed. Ryosuke is desperate; he tries to ring an ambulance, to no answer! They try to save her, but she dies. They leave her corpse under a grey blanket. In the car, Ryosuke rests his head on Michi’s shoulder; Michi rests her head on his, a moment of sad intimacy among the misfortune. Unfortunately for them, the car is out of gas! Ryosuke returns to the factory to find fuel. Michi remains in the car, drained. Ryosuke discovers some barrels, a fuel can and he starts to fill it up. As the camera slowly pans around Ryosuke, a sealed door with red tape comes into view, ‘The Forbidden Room’. The door is not fully sealed, as the door opens inviting Ryosuke in! As he tries to tighten the fuel can’s cap, he drops it, and with consummate cinematic logic, the cap rolls through the door into ‘The Forbidden Room’. Ryosuke is now aware of his dangerous situation! He takes slight slow steps toward the door, and then a decision is made. Ryosuke strides purposefully into the room. Not curiosity but answers are what he desires. He knows the outcome before he goes in, but he enters anyway. Ryosuke bravely advances toward a denizen from the afterlife! This amazing scene is the crux of the film and the ironic despair that writer/director Kiyoshi Kurosawa is trying to express with “Pulse”, is realised. 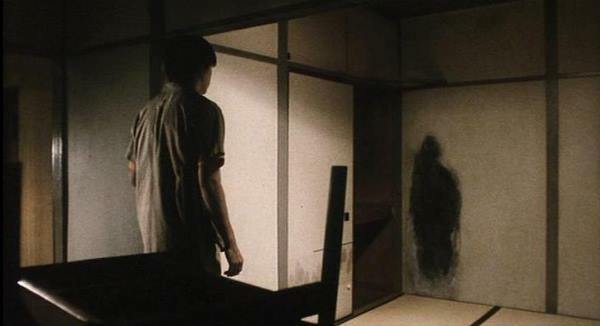 Shadows permeate the room, and the door closes on its own volition; Ryosuke enters ‘The Forbidden Room’. He finds the petrol cap, in the shoddy clutter, haunted by a ghost. There is an otherworldly groan and the ghost enters into conversation with Rysouke and ‘explains’ matters. The shimmering shade is dressed in black with a white face. He is fuzzy and blurry, but this ghost strides towards Ryosuke with purpose. He has leaked further into material reality than some of the earlier apparitions. The shade simply walks to meet Ryosuke. Ryosuke demands what this insanity is all to do with him! He has a last ditched attempt to open the door, but it is still jammed shut! I refuse to acknowledge death! He covers his eyes with his hands, like a child in a scary situation. He slowly turns around, unveiling his hands. Unfortunately, the ghost stands motionless, looking at him. Ryosuke tries the door again. A mad rush of crazed logic grips Ryosuke, he decides that if he catches the ghost, it will disappear! The shimmering shade is becoming corporeal and Ryosuke charges and grabs the ghost, much to his amazement! He looks directly into the eyes of the ghost and falls to the ground, a shaft of light falls across Ryosuke’s face, as he confronts the deranged reality of his condition. With cool rationality the ghost speaks! The ghost shudders and shifts towards Ryosuke, to look him clearly in the eye. The spectre slowly closes in; a large close up of the greyscale shade is beyond creepy. His cold fish eyes come into focus, absolutely terrifying, dial up tones ringing! Ryosuke looks directly into the eyes of the ghost, mesmerised. It is the ghost that is in a perpetual existential despair. After an eternity of loneliness, the ghost desires eye contact, communication, humanity! This is the twist to the plot! The Dead are in desperate isolation. Overcrowded in a Hades style solitude, immortal and succumbing to a disastrous alienation! Throughout the film ‘Help Me’ is repeated like a mantra. The Dead are looking for salvation in The Living. There can only be one outcome from such a terrifying proposition, The Living evaporate! Kurosawa has a stroke a genius with this simple concept, one that is truly and utterly horrifying. All those answers from eternity have finally been answered, immortality is discovered, and it is worth a whisper in the wind! The ultimate uncanny scene is resolved in a tragic moment of inspiration; this demonstrates the scale of Kiyoshi Kurosawa pessimistic intelligence. Michi apprehends that something is wrong and runs to find Ryosuke. She finds the open door to ‘The Forbidden Room’ and she grasps her head is anguish. She avoids the invitation and finds Ryosuke, sat down staring at the floor! He grabs the petrol can and they get out of the factory. He is sat staring at a black stain! They are driving through Tokyo, smoke and fires fill the urban landscape. The road is completely empty, Tokyo is failing. Michi drives with purpose as Ryoskue sits exhausted beside her. Burned out cars and trashed motorbikes litter the road. Michi is bursting with adrenaline, but wretchedly, Ryosuke is past caring, he has looked into the face of absolute loneliness. The heart of the city is desolate; a few corpses are laid out. This bustling metropolis is unnervingly quiet, a corpse itself. Ryosuke falls asleep, oblivious to the extraordinary apocalypse that is gripping Tokyo. The urban cityscape is bereft, empty and dying. The simple drive-by camera work, effectively describes the catastrophe. Michi arrives at the docks. She stares at the sleeping Ryosuke with knowing, intense eyes. She unburdens herself, weeping on the steering wheel, unleashing her sadness. Amusingly, even in his doomed reverie, Ryosuke asks Michi what she is doing! Ryosuke entered ‘The Forbidden Room’ and Michi knows very well what the outcome will be. Ryosuke, with his easy going ways, shrugs it off, as if it is nothing. Michi is incredulous, as he can hardly move and despair drapes his being: she continues to weep. Ryosuke’s natural kindness can’t hide the fact he is doomed! Michi will do anything to help him and she suggests going back to Harue’s remains, if that will ease his pain. Her compassion shines. Kiyoshi Kurosawa protagonists are decent, helpful and kind, unusual characters in a horror film! No loud mouth over-sexualized teens, no bad boys about to become unstuck, no crazed villains with a sinister plot; just a couple of young people trying to make sense of their lives and then a cataclysm erupts. Ryosuke will always to try to move forward, in his lazy way, while he is able. They need to keep going, somewhere, anywhere, but they have to move! Michi helps Ryosuke to a boat, his despairing ennui sapping his strength, but he keeps pushing, one foot in front of the other. Michi has to go to find the key for the boat, as a massive fiery plane crashes in the distance, with a huge explosion. This is Kiyoshi Kurosawa’s only ‘big’ special effect used in the whole film. This is apocalyptic film, but this special effect only lasts seconds. The budget may have been tight, but perhaps Kiyoshi Kurosawa is being satirical in his relation to genre expectations, but this brief scene drives home that the world is unravelling. The centre cannot hold. All is falling apart. At the harbour office, ash floats around the room, evidence of spontaneous existential despair explosions! Michi discovers the key and dashes back to the boat. They cast off and Ryosuke rouses himself to drive the boat, powering off, into the deep! Michi Now, I’m alone with my last friend in the world. A speck of ship cruises across a large lonely sea, nothing to be seen, and nothing to be known! “Pulse” is a prescient film and an ironic comment on the hypocrisy of modern technology and the utopian foolishness surrounding any scientific or technological progress. All these glorious new gadgets, cures and conveniences are wonderful, but the human problems remain the same and no answers are ever forthcoming. The explosion of the internet and mass communication in the mid-1990s were seen to be the solution to many issues around information, expression, connection and freedom. Kiyoshi Kurosawa, a supreme sceptic, completely dissolves this utopianism, with the ironic evaporation of the population! New technologies accentuate alienation, connection is interrupted and freedom is self-obsessed into superficiality. Information is power, but power behaves as it always has, for power’s sake! The internet has opened up a new era of information and knowledge, and the ability to converse with like-minded folks, anywhere on the globe, a remarkable achievement. Like any human endeavour, it has also unleashed a horde of complete stupidity, irrationality, new modes of criminality, and most distastefully, an explosion of hatred. Unfortunately, Kiyoshi Kurosawa’s scepticism and pessimism, in 2001, is well founded. It would be interesting to discover if Kiyoshi Kurosawa is familiar with the writing of the Austrian-born-Israeli thinker and existentialist philosopher Martin Buber, and his fascinating book "I And Thou". “Pulse” explores existential themes in a world filled with loneliness and alienation. “Pulse” also describes a scenario in which Martin Buber’s ideas unravel. Martin Buber is one of the most interesting thinkers of the 20th century. Even though he had plenty to be pessimistic about, his ideas are on the positive spectrum into enquiries around human beings and meaning. I will make my apologies to any Martin Buber scholars with my general approach, but his ideas have an interesting chime with “Pulse” and its narrative. Martin Buber considered the world of experience and sensation to be an ‘I-It’ relationship; this is our everyday state of being. Martin Buber considered this relationship a monologue. ‘I-it’ is our everyday interaction with inanimate objects, animals, people and the world. We have a monologue with ourselves in our consideration of objects and how they relate to our self-interest. As this a pure analytical and material view of existence, this monologue state can give rise to ideas of alienation, isolation etc. Martin Buber’s theological interests can be ascertained from this sceptical view of a purely material existence. He considered that this limited view would inevitably lead an existential crisis. This is the state of conscious being that all the characters in “Pulse” inhabit. The world of “Pulse” is a drab concrete purgatory. Images of production and progress, such as industrial factories, are suitable places for suicide! The new emerging technologies will put Martin Buber’s theological interests to the test. The exit out of this monologue fugue is the ‘I-Thou’ experience. This is Martin Buber’s beautiful idea, in which human beings strive to put one foot in front of the other, the big ‘Yes’ to life. Martin Buber’s considered ‘I-Thou’ an encounter or dialogue of two beings, with no qualifications, no objectification, just pure authenticity. It is not ideas or information that are at stake here, but the encounter itself, it is from the dialogue that authenticity arises. Ryosuke fumbles and struggles, but he tries to be authentic in his relationship to Harue. Unfortunately he can’t have a dialogue of being, when Harue is locked in her monologue state. Michi is blown around by the winds of fate, but she strives for authenticity, until tragedy strikes. Martin Buber’s natural inclination is to expand his ‘I-Thou’ relationship into the theological realm. This is where Buber’s ideas unravel in the world of “Pulse”, and the philosophical horror of nihilism is all triumphant. When The Dead start to leak into material reality, The Living don’t receive the answers they are looking for. It is The Immortal Ghosts who are the ones in search of answers from The Living! They are locked in a permanent ‘I-It’ existence of perpetual and immortal isolation. Authenticity is a pipe dream and existence a never ending nightmare. When the truth of immortality is realised by The Living, even though there is no actual malice from the ghosts, The Living dissipate into despair. The future of being, a whimpering black stain! This is a horror film, and Kiyoshi Kurosawa takes the dread to apocalyptic lengths. Martin Buber’s existential ideas chime with “Pulse”, but with a tragic outcome. Buber’s ‘I-It’ monologue relationship is perfectly realised by Kiyoshi Kurosawa, crafting an intelligent horror film. Kiyoshi Kurosawa is an extremely intelligent writer/director. He brings forth his pessimistic vision with the help of a crowd of talented collaborators. Junichiro Hayashi photographs the urban landscapes, drab corridors and chaotic factories with soul sapping brilliance. The grey hues imbue the desolation with a tragic quality. The crazed fuzzy ghostly incursions are blasted through with jaundiced yellow and shadows. The lighting is particularly well used; the noir fashion increasing the strangeness to spine tingling levels. Tomoyuki Maruo’s art direction moves from the minimalist, in the alienating corridors and the mazes of metal railings and stairs, to the bright lights of the arcade and the train, into the absolute chaos in the factories. The order at the University slowly slides into entropy. He gives the isolated apartments little moments of life, with Harue’s books, and Ryosuke’s untidy tiny room and his magazines; but monitor screens are everywhere, forever watching. 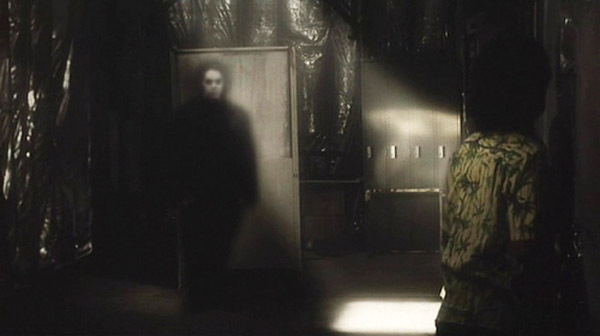 The special effects are generally quite simple, fuzzy, and jerky, either on ambiguous monitor screens or with the ghostly encounters themselves, in a greyscale style. This paradoxical and concise use of fuzziness is a masterstroke. Trying to define something as undefinable as the uncanny is going to be difficult, but Kiyoshi Kurosawa and his team achieve something remarkable, creating a truly creepy experience! The special effects are a triumph; sometimes simplicity is the most effective technique. The music veers between almost clichéd wailing sopranos to buzzing soundscapes and disconcerting noises, but it is all effectively used. The use of the wailing sopranos is given a new lease of life in “Pulse”, as this style works really well and is genuinely scary, especially when it’s used in a different context of urban situations, a University library or a car drive. The acting across the whole cast has a naturalistic, with a gentle quality, even when events turn disastrous. Kumiko Aso plays the ingénue with a light touch. Kind, caring, with embittered feelings towards her absentee father, she is the survivor who accepts and expresses her emotions, from which she gains strength of character. Pummelled with misfortune, Kumiko Aso gifts Michi Kudo with great heart and emotional strength, until her own final tragedy. Haruhiko Kato is impressive, transforming Ryosuke from an untidy, bored awkward student, into a passionate lover of life. He fight’s with every ounce of his being, even when the despair infection starts to crush his heart. He knows what is coming, it is unavoidable, but he strives to survive, until there is nothing left of him. Kato uses subtle comedic acting in the earlier scenes then transmutes Ryosuke into a strident young man dealing with crisis and then his ironic final heroic battle with hopelessness. His performance flows from witty ennui, to action, to disaster through a subtle arc of character development. The beautiful Koyuki sizzles as Harue. The seemingly confident, busy post-graduate is an affectation. Her inner self is akin to a character out an Edgar Allen Poe novel. She is a death obsessed intellectual, locked in her own self-imposed exile. Madness stalks Harue and Koyuki gives a nervy and at times, intense performance. "Pulse" is a film where the nihilistic philosophical horror of Poe, Lovecraft, and the modern master, Thomas Ligotti, interact with modern technology and apocalypse arises. Right from the off, suicide and crisis impacts on the life of a young working class woman, and weirdness imposes itself on an untidy student’s life. The sheer mundanity of their urban dislocation is a character in itself. Drab, dull and dreary urban interiors and exteriors permeate “Pulse” imposing its will throughout the film, pumping up the alienation and desperation. Kiyoshi Kurosawa is an intelligent sceptic who creates a melancholy cinematic experience, but punctuated with moments humour. “Pulse” is a horror spectacle imbued with a great sadness, and it is uncannily creepy!